Composition - wedding rings. 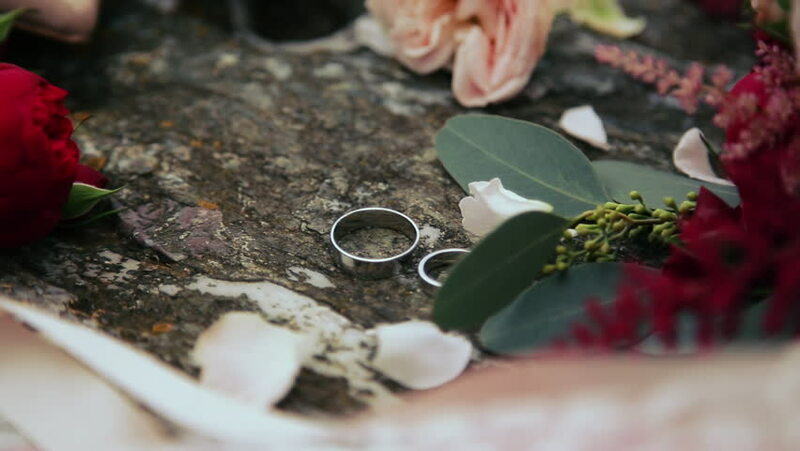 Two white gold wedding rings lie among the flower petals. hd00:41Making a bouquet at the sunset. White peonies, white and purple ranunculi and other flowers. Hands are correcting the bouquet. Setting sun. Panorama.